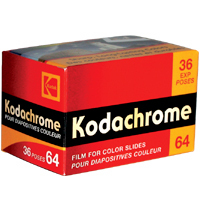 The last day of processing for all types of Kodachrome film will be December 30th, 2010. The last day Kodak will accept prepaid Kodachrome film in Europe is November 30th, 2010. Film that is not in our lab by noon on December 30th will not be processed. To be sure, this deadline has been known for a while now, since the announcement by Kodak that it had manufactured its last run of the film format. Still, people have continued to use Kodachrome up to the present. There are definite advantages to digital photography by comparison to film, McCurry said. Regardless, digital photography is simply not the same. It’s that last statement which still brings hope to film’s future, as it’s the psychological connection with film among some photographers that keeps them coming back to it. Although sales of digital cameras have been rising dramatically in recent years, including the increasing prevalence of consumer-grade digital still and video cameras in cell phones, Kodak claims that sales of analog film have been steady, including a potential mini-resurgence of film as a strong niche format. Hi, I found your post very informative. I am the creator of a blog on Digital Photography that your readers might also be interested in. It can be accessed by following this link.